Clive Anderson and Arthur Smith are joined by Josie Lawrence, Sarah Kendall, Daniel Cole and Mae Martin for an eclectic mix of conversation, music and comedy. With music from Ibibio Sound Machine and Courtney Marie Andrews. ‘Ragdoll’ is published by Trapeze and available now. ‘Women Stand Up For Oxfam’s 75th Birthday’ is on International Women's Day, Wednesday 7th March at London’s Leicester Square Theatre. Episode two of ‘Sarah Kendall: Australian Trilogy’ is on Tuesday 7th March at 23.00 on Radio 4. The first episode is available on iPlayer. ‘Uyai’ is available now on Merge Records. 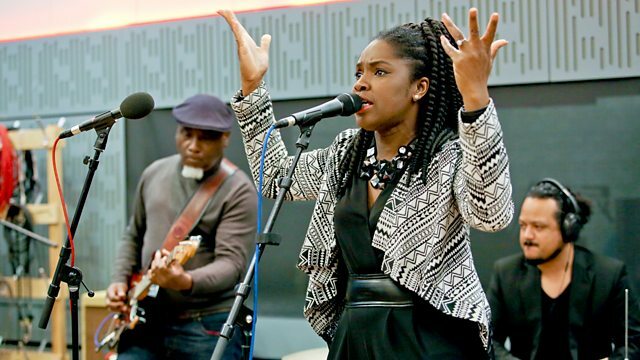 Ibibio Sound Machine are playing at Aberdeen Jazz Festival on 19th, Band on the Wall, Manchester on 28th and Jazz Café, London on 30th March. Check their website for further dates. ‘Honest Life’ is available now on Loose Music. Courtney Marie is playing The Keep, Guildford on Saturday 4th and The Social, London on Monday 6th March.